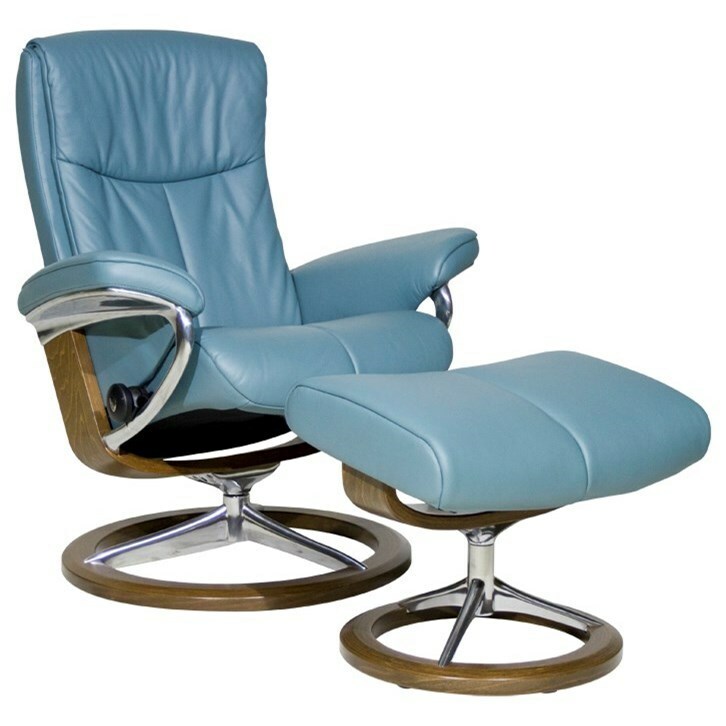 The time-honored Stressless design gets updated with modern features to give you this extremely comfortable small signature reclining chair and ottoman. As ergonomics go, this piece includes the patented Plus-system, as well as the LegComfort™-system, which provides a hidden footrest under the seat. Furthermore, this chair is available in a variety of fabrics and leathers, as well as several different wood base finishes, so finding that look to fit your personal style will be a breeze. Special order available. Some assembly required. The Peace Small Stressless Chair & Ottoman by Stressless at HomeWorld Furniture in the Hawaii, Oahu, Hilo, Kona, Maui area. Product availability may vary. Contact us for the most current availability on this product. The Peace collection is a great option if you are looking for Contemporary furniture in the Hawaii, Oahu, Hilo, Kona, Maui area. Browse other items in the Peace collection from HomeWorld Furniture in the Hawaii, Oahu, Hilo, Kona, Maui area.